Each Villa has magnificent panoramic views to the wonderful Ionian sea, the islands of Zakynthos & Kefallonia, the green surrounding hills and the unforgettable sunsets. The Ilis Villas property and the three villas within it, Ephyra, Yrmini, and Olenos, are named after region & cities names from Homer times. 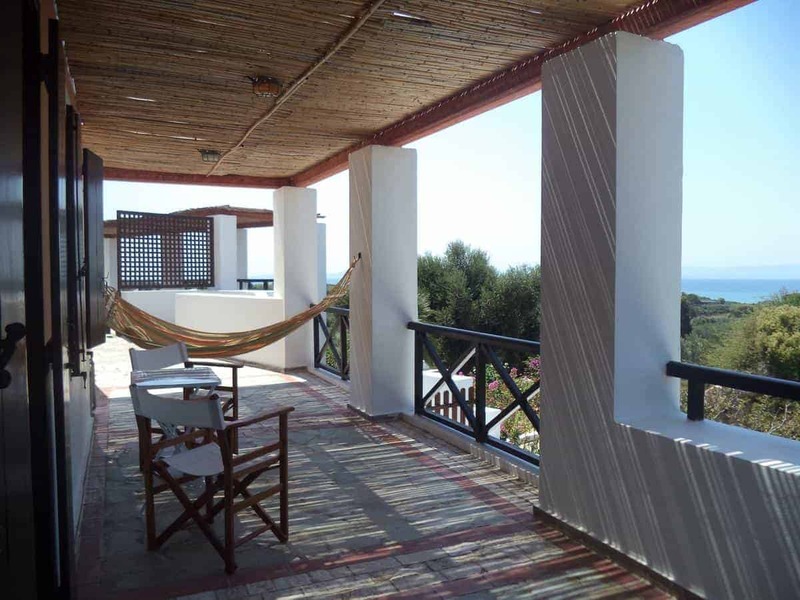 Villa Yrmini lies at one level, while Olenos and Ephyra lie on two levels (maisonettes), each fully furnished and air conditioned. 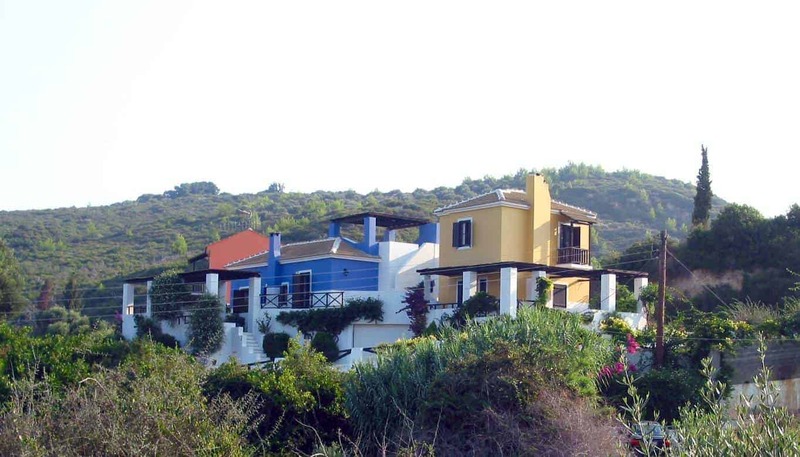 Wi-Fi and one car park place for each villa, within the property, are freely provided. The clever orientation of the three villas keep their verandas and balconies all-day in use. All ground floor doors lead to stone-lied verandas, either shaded with caned pergolas or uncovered for sunbathing. From all you can cherish the spectacular view of the sea in front of them and especially from the west the wonderful colorful sunset. Within the property there is a built-in Traditional Oven with Barbeque. Within the gardens adjacent to the staircases leading to verandas, you find two cold water outdoor showers. They offer extreme feeling of refreshment when using them after coming from swimming. One can take long walks along the long sandy beaches of the area or even splash in the waters of the sea while walking. The sea waters are shallow and gradually get deeper. Highly recommended for children of all ages and not only.